The weekend starts Thursday evening with a formal dinner at the Nahant Country Club, in the early Victorian mansion of Frederick Tudor. Enjoy a delicious feast, in period splendor. Before dinner you might enjoy the view from the piazza. The classes start Friday. Schedule will be announced as soon as it it finalized. After a break for dinner we’ll enjoy a Seaside Soirée at Egg Rock an elegant mid-Nineteenth Century mansion. 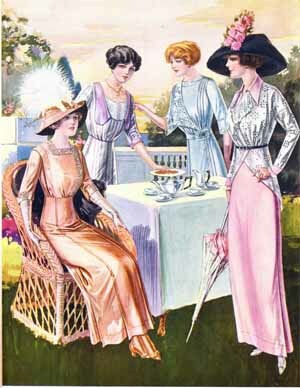 Turn-of-the-Century or Victorian evening attire, something nautical, or modern evening dress is suggested for the evening. Hoopskirts are discouraged due to space concerns. We encourage guests to arrive a little early to stroll the grounds and enjoy the spectacular view. Saturday’s schedule will include classes, schedule TBD. 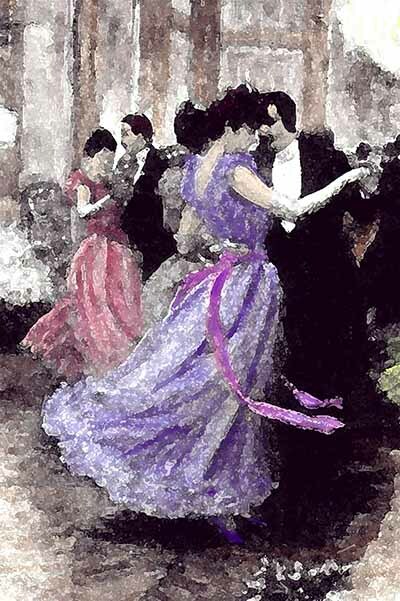 We’ll dance into the night at The Grand Ball: An Evening In Vienna at the Town Hall. Sunday afternoon we return to our Summer estate, Egg Rock, and enjoy a concert followed by tea and dancing. The weekend will conclude with a promenade to East Point, a highlight of the weekend and once the site of the Nahant Hotel, where we will enjoy spectacular, almost 360 degree, ocean views. If you are staying over on Monday, we might head over to Zimman’s Fabric Store in Lynn for some shopping before heading to RI for the second part of the dance week.